I read the four books of the Twilight Saga in four days straight. In the first book, I "fell" in love with Edward Cullen. In the first book, he was personified as the perfect "catch" for any woman. Edward is drop-dead-gorgeous, rich, intelligent, an accomplished musician, has a medical degree, and has the most caring and protective persona, ever. As I read through all the remaining three books, there were splashes of the old thrill evident in the first, but the plot was getting... well, weirder. Heck! Who cares?! Edward Cullen, forever. Daughters 3, 4, me and a bunch of Twilight fans (D 4's schoolmates) went to see the movie last night at G4. Our verdict. Trash! Bad script. Bad acting. Bad makeup. Bad wardrobe. Too cheesy. No continuity of plot. (what plot? )....BadBadBad director! Some really bad camera angles for Edward errr Pattinson - distorted face. Pattison had a hard time doing and sustaining American accent. (I'd say ol chap! Bloody mess, I'd say). Bella, not feminine enough, too breathy in her delivery. Some scenes were presented in such ways that made me laugh. When Edward took Bella to the meadows to see him "dazzle", my companions and I said all at the same time "what dazzle?" I had to squint real hard to see the glitter-glue-like "dazzling skin" of Edward. Cheap! Was I watching a comedy? 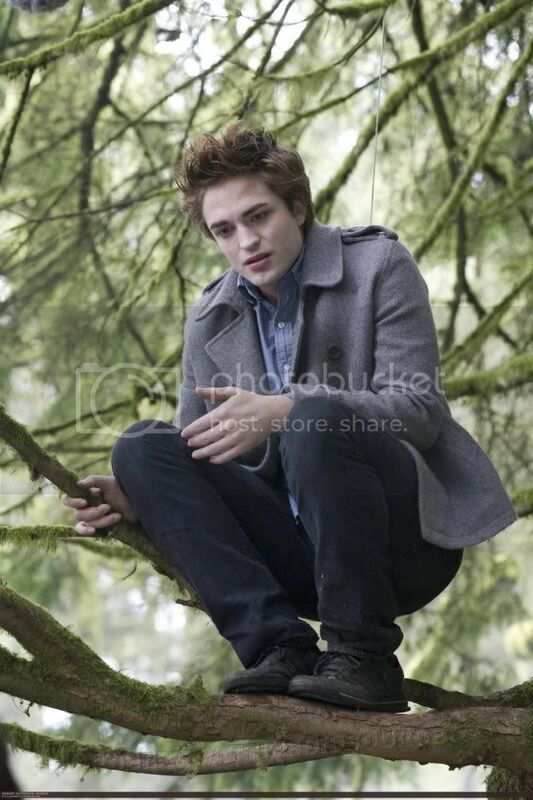 It was hilarious when Edward was up and squatting on a tree while explaining to Bella (who was on the ground) why it was not safe to be with him. In the scene where Bella was bitten by James the vampire, Stewart eyes were crossed! Not only that. When Edward was sucking the venom out of Bellas arm, his eyes were also crossed! I had a hard time linking the novel to the movie. Edward, Edward. Whatever happened to my Edward? Too bad Pattinson cannot act. No wonder Cedric Diggory was ousted by Voldemort. Ooopppsss! Wrong movie! No matter what the critics say, this movie will be a hit. There are millions of screaming teen age girls out there for Edward and ,oh okay, Jacob. I heard that the second book is now being filmed. Oh how I wish the director would get a more credible script writer. And please, Stephenie, no more cameos. Is that Daughter #4 emoting with Pattinson? LOL...I can't believe that actor is so famous now. Ano puno na ba yung halaman nyo? Grabe baka bahain kayo dyan....hahaha. huling: yup! that's D4. super duper fan ng twilight (now, no more). grabe. comedy dating ng movie. hindi naman nag baha. putik lang naman ang nangyari. I gave it a 5 out of 10! Grabe the cinematics talaga was totally blecckkk... and their attempt to make the Cullens look pale??? ESPASOL much? grabe..sayang ung pag ka pogi DR. Carlisle! mukha cyang ESPASOL! Hay..pero Cullenized pa rin ako..The book is still what makes me "kilig" not the movie at all. over hyped tlaga ninang. Sayang kasi it could have been better...the musical scoring was also very very bad and the cinematography and direction. Remember yung scene wherein Bella told Edward na she thinks he's a vampire. 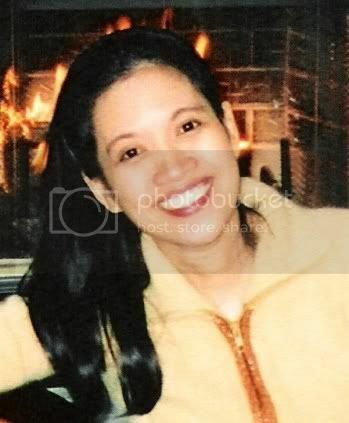 Then the camera swayed, tilted from side to side...anong purpose nun? May nahihilo ba na insecto? POV ba yun ng lamok na kakagat kay Bella? Hahay! ivy: hello! pov ng lamok yon. nagulat yon lamok kasi kinagat nya nun si edward, e vampire pala! syet! sabi ng lamok... vampire mosquito na ko! !